For a room that’s the fairest of them all, consider adding mirrors in unconventional places. 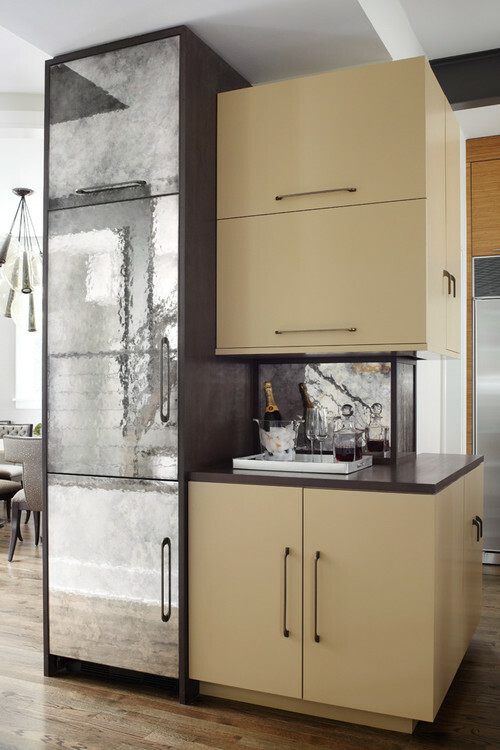 Mirrored surfaces tend to make a room look larger and lighter, and who doesn’t want that? Think beyond the wall. Mirrored furniture and fixtures are currently trending but they work with every style – traditional, modern, contemporary, minimalist, rustic, you name it. The mirrors can be smooth and shiny or weathered, crackled, or pockmarked – whatever floats your decorative boat. Start small if you don’t like to see your reflection much; pick up a mirrored accessory. Don’t limit mirrors in the bathroom to the medicine cabinet. 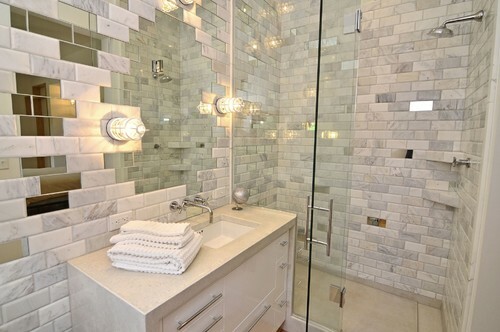 You can mirror your sink, walls, vanity, and even bathtub for a dazzlingly shiny room. 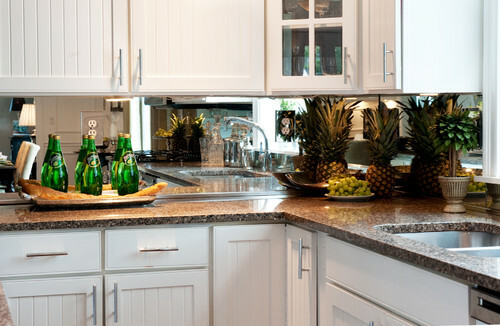 Even your kitchen can get in on the fun. 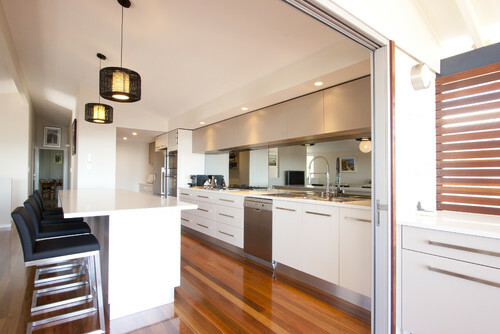 Mirrored backsplashes and cabinet doors can visually double your kitchen size, making it feel more open and airy. How much of your face do you want to see throughout the day? What’s reflective in your house?